If you want a refreshing alternative to regular supermarket toothpaste; because you’re indie like that. 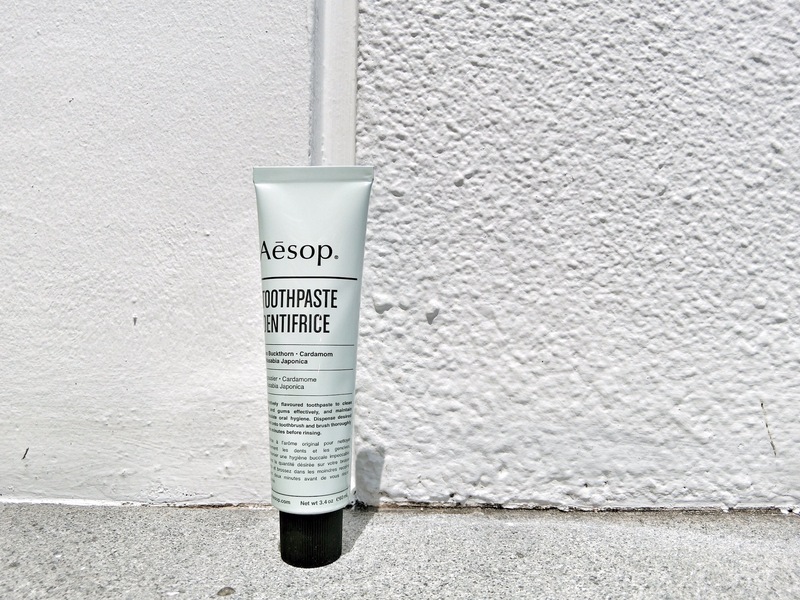 Aesop’s new Toothpaste Dentrifice is delicately flavoured with: sea buckthorn, cardamom, sea salt, anise fruit, tea tree, clove flower oil, and even wasabi… But trust me, it tastes just like a delicate version of minty toothpaste with some spice. Nothing too crazy. With the natural oils and extracts that are generally good for the skin (and palate), this Aesop formula just seems like a more earthy choice for your teeth and gums. I would even use this to plump and gently exfoliate lips before application of lipstick. And who knows, it might also work as a mild pimple treatment (for people who swear by toothpaste to dry up angry pimples)! Launching at Aesop Singapore stores Aug 18.